With mothers day around the corner, we wanted to share a few tips with you about connecting within and connecting with others. How do you create a calming mindful life as a mom? Often many of us find ourselves again on the yoga mat allowing ourselves to stop and take a breath. Spring brings an opportunity for new beginnings and growth all around us. Let us honour ourselves and make sure we take the time to be present, explore the self and connect within to nourish our mind body and spirit. Haven is excited to announce our newest member of our Wellness Team! Come say hi and welcome him! Justin Frankson is the owner of Complete Care Osteopathy. Justin became a Manual Osteopath graduate from the National Academy of Osteopathy (NAO) in Toronto ON. Justin studied Physiotherapy in Costa Rica in the Santa Paula University a Specialized Physiotherapy university in Latin-America, later on he became a Personal Trainer by the International Career School of Canada (ICSC) before becoming a Manual Osteopath. Justin is a member in good standing of the Society of Osteopaths of Canada (SOC), the International Osteopathic Association (IOA) and the National Council of Strength and Fitness (NCSF). Currently Justin keeps upgrading his knowledge through the National University of Medical Sciences (NUMS) in osteopathy. Is it covered by my extended health? How do you know which therapy will get you the relief you are seeking the quickest and most effectively? Manual Osteopathic therapists understand that the release of tension in joints, muscles, tethered nerves and fascia allows healing to occur. Helps you recover from pain and injury. Osteopathic therapists have 4 years of training in their fields to become qualified. They all do hands on work. 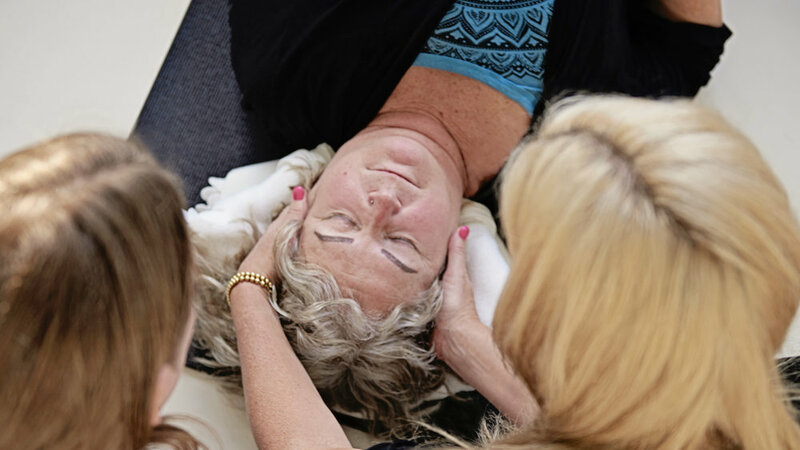 They’ve all been trained to use their hands to find an Osteopathic diagnoses and treat the restrictions that are preventing your body from healing. They’ll give you a treatment plan so you know what to expect going forward. Osteopathic therapists work not only with the spine and joints, but with tissues, scars, fascia and fluids as well. With osteopathic therapy, there is no single protocol that is applied to all patients. With osteopathic therapy it doesn’t particularly matter what or where your problem is. It could be anything from a childhood injury to painful menstrual cramps or recurring headaches. What matters is the methodical way in which your Manual Osteopathic therapist addresses and removes the restrictions that are causing you a problem. Osteopathic therapists ONLY use their hands. There is no tool that is as sensitive as human touch. They combine their intellectual knowledge of anatomy in motion with what they feel in their hands to understand the story being told by your tissues. They then use gentle manipulation to free restricted joints, tight muscles, tethered nerves and blockages around organs. The release of tension allows healing to occur. At Haven Yoga and Wellness, you get a focused, one-to-one experience. There is no multi-tasking in our environment. Your time is your time. Manual Osteopathic therapists consciously give a lot of time to each patient on each visit because they know it takes time to heal a person. They know that it takes more than five minutes to hear your whole story, assess you properly and begin to treat you in a way that makes a difference. When you come for your appointment for Manual Osteopathic therapy at Haven Yoga and Wellness . .
• Your first treatment lasts one hour. Subsequent treatments last about 30 minutes. Your treatment with us is strictly hands-on. • The hands of an Manual Osteopathic therapist are more sensitive and knowledgeable than any type of machine. We don’t use ultrasound or any other machine to help us understand what’s going on. • We find we get the best results by keeping the treatment to the work of our trained hands. • We are trained to do strong manipulations, joint movements and massage techniques. • We also know how to use our hands in a very subtle way to gently free restrictions around organs and other deep body structures to restore health to your body as a whole. Our Manual Osteopath, Justin Frankson, is trained to understand and explain the link between the cause of your problem and the symptoms you are experiencing. He is an expert in the field of the human body with extensive training at both the undergraduate and post-graduate level. In the past, you may not have received support for ongoing health . . . He will clearly suggest a treatment plan so you know what to expect going forward. He will make sure this is a reasonable plan which can fit into your busy life. Once your problematic symptoms have been relieved we will also discuss a plan for prevention – to keep your old symptoms from reoccurring.